Going, going – and almost gone. A clifftop bungalow just yards away from oblivion is set to become a holiday home after a for-sale saga which also teetered on the brink for months. Kenrick, the three-bedroomed chalet at Happisburgh, hit the headlines earlier it the year when people from all over the country showed an interest in buying the blue bungalow despite its precarious position on a crumbling cliff. An Essex woman will finally buy it this week – after three earlier prospective purchasers were put off by erosion of neighbouring land.Estate agent Nigel Hedge yesterday confirmed the sale by private treaty would go through on Friday for around 9500. It is considerably less than the 17,000 offer which originally topped the bidding in a sealed auction back in January, but nearer the price tag he felt was realistic for the chalet – whose lifespan is at the mercy of the elements and the condition of storm battered sea defences. The buyer, a woman from Chelmsford, did not want any publicity, but was looking forward to using the chalet as a holiday home. Three earlier sales – the top bids in the sealed auction – had ‘fallen apart’ as the bungalow next door was demolished when the crumbling cliff made it a safety risk, added Mr Hedge. But a new campaign among villagers to get action over bolstering sea defences was helping boost confidence in the village, where he had also sold another chalet in Beach Road for 6000. On Friday night the local action group is holding another public meeting to renew calls for help. 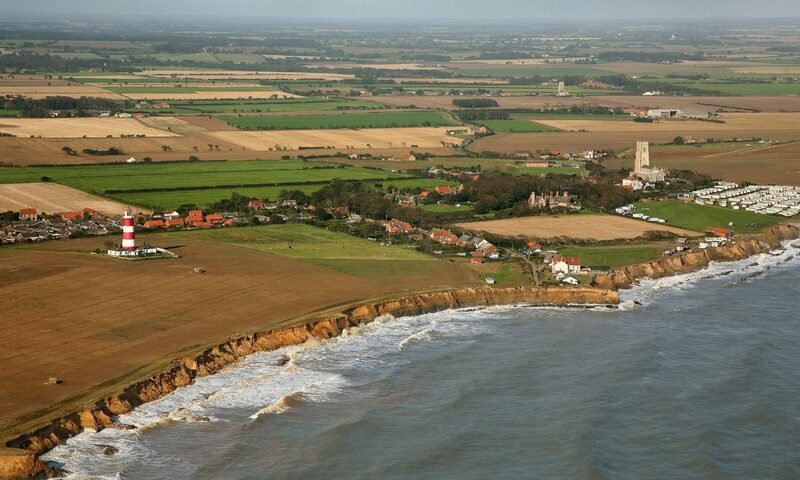 Euro MP Clive Needle is being asked what European cash might be available for sea defence schemes, while officials from North Norfolk Council will also be quizzed on their long-running efforts to win Government funding for a Happisburgh protection project. Earlier in the day North Norfolk MP David Prior is meeting villagers to discuss their concerns. Campaign spokesman Malcolm Kerby said: ‘We are concerned about Happisburgh but we realise this is also a national problem which needs one central body responsible for sea defences and given enough funds to solve the problems.’ Villagers hoped to find a way forward by a three-pronged campaign at district, Government and European levels.